There are many aspects to design but one skill a good designer has is the ability to style a space. Beautiful fabrics and finishes and architectural details are the backbone of a well-designed space but the styling is what really completes the ensemble and makes it feel livable. 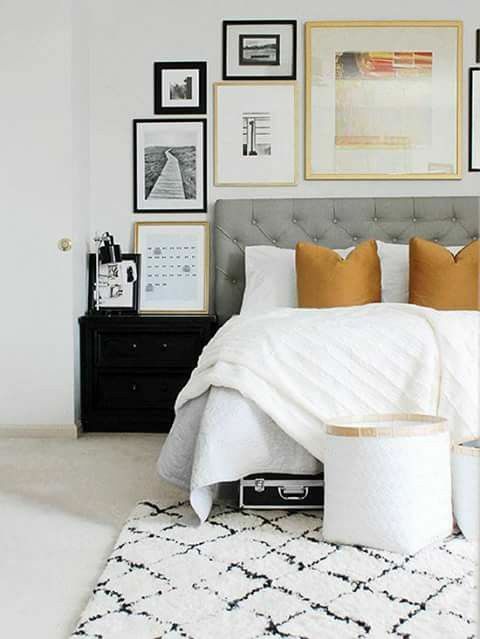 While a pristine, model-home type room is beautiful to look at in pictures, it doesn’t evoke the I-want-to-live-there feeling that a well-styled space does. Styling is hard to teach because it has a lot to do with eye and trusting your gut but there are some guidelines that can be help in styling a space well. The first good guideline is considering the impact of color. Some pieces used in styling are really just filler —the fill a void and are “background” decor. They keep the space from feeling empty or unfinished. However, there are pieces that add warmth too. Greenery is great warmth-giving decorative element. There is also something to be said for incorporating little pops of color in styling. A fun pillow(s) or blanket. Maybe a sculpture or small piece of art that’s unexpected and plays well off of the other colors in the room. The little surprise pieces should just make you feel satisfied when you see the space because it looks complete. Don’t be afraid to mix a little old with new. Many people get a few new things and then want everything to be brand new because the old items look dingy or dated. This is true sometimes but when done right, meaning, a lot of editing, it can be really impactful. You can make an antique piece that has a lot going for it into a focal point. Mixing seems to work well when using antiques next to more modern items— the clean lines juxtapose the vintage piece nicely and often create just enough tension to bring a room to life. The final, most important guideline is not to be afraid of imperfections. Everything has a birthmark…whether it’s a piece of furniture or a wall, almost nothing is absolutely perfect. This can be maddening for some but it really can add character to a space. You can choose whether or not you want to highlight these imperfections or just let them be a layer. Either way, don’t stress about it, it makes it unique! Believe it or not, some parts of designing a space aren't so carefully planned out. Sometimes, you just need "something" that works or "something" to complete a space because it's missing "something". But it can be hard to pinpoint that "something". And sometimes, it just needs to be filled. It looks empty so it needs to be finished...somehow. Well, there are certain designer go-tos that quickly and effectively accomplish this! For starters, a big tall tree can do wonders for filling that empty corner. Sometimes it's a dining room, kitchen nook, or even a formal living room but regardless of the space, greenery is always a good idea. The nice thing about a big, tall tree is that it not only adds an organic element to the space but it adds height and visually fills a space about as much as another piece piece of furniture but for much less. It can also look very sculptural which could function as an art piece int he space as well. 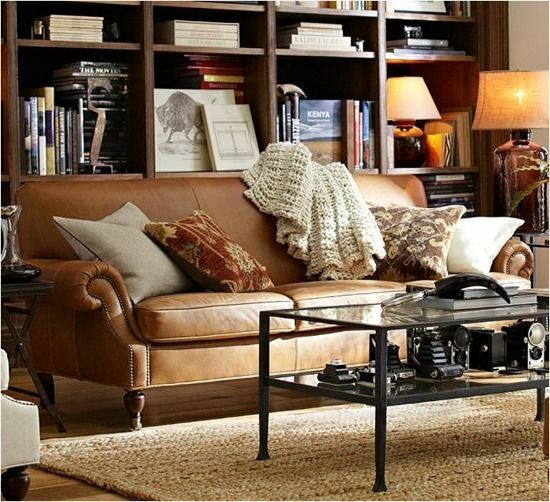 Another way to add height to a space is with a good floor lamp. Floor lamps work similarly to tall tress in the way they add height and a sculptural element to a space. They are a little more functional than a tree because they actually give light to a space, however, they can sometimes be harder to place because they have to be plugged in. They're great filler pieces, though! Add a book or stack of books and get an instant finishing detail! Books are the never-endingly useful! They can fill so many spaces in a room. They work well for empty shelves, under vases or sculptures to give height. They also work as a great base for a coffee table if you don't have a tray or even inside of the tray. It's pretty much the designers go-to for accessorizing. So don't get rid of those old books you don't read anymore. Keep them and use them as filler! You never know when one will come in handy. Throw blankets are also great filler pieces. They add more of a lived-in look that gives the visual que of comfort than the books, which are great filler pieces, but they still have their value. Sometimes they're the pop of color a space needs or the filler for a basket, but a soft blanket can really go a long way in a room. Just remember that rooms have layers. These layers consist of elements that range in size from small accessories to major lighting. Each piece works together for the whole but not every piece has to be rocket science! The finishing touches to each room are the little layers---the accessories and throw pillows. The styling. So many design magazines and images on Pinterest make these details look effortless. But the truth is, there's a lot of effort that goes into making things look effortless. Every designer has their go-to tricks; the things they do at every install and for every accessory call. And each designer puts their own spin on it which is what makes the art of design so cool--each room is different and unique in it's own way. Today we're talking about some of our go-to tricks to add finishing details. The things we like to do to make a room look finished & effortless. Maybe you can take these tips and put your own spin on them to make your home it's own special piece of art. Greenery. We also incorporate some sort of greenery into a room. It can be a small little grass or our signature plant, an orchid (a real-looking fake one, of course). 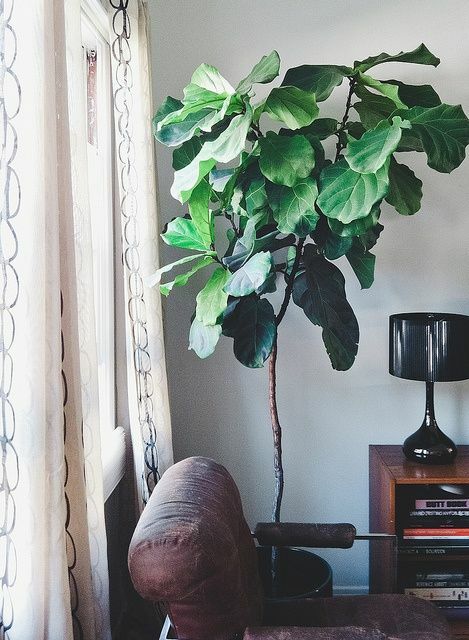 For height in rooms that need it, a tall tree--either the fig tree or some sort of elephant ear palm is what we're currently loving (but that trend will shift eventually). Greenery adds color and life and a little bit of an organic feel which can quickly freshen a room. A large bowl. This is one of our favorite go-to's because a large bowl can work almost anywhere. Not to mention the fact that there are so many different sizes of large bowls so you've got options based on the size of the furniture it's going on. We like for a tabletop area to look finished but not cluttered and the large bowl seems to work really well for accomplishing that. It can be a dining table centerpiece, a console table topper, even something for the kitchen island. We mean it when we say--don't underestimate the impact one large accessory instead of multiple small ones. Something like that immediately becomes sculptural instead of just filler. The pillow chop. Yes, this is a real thing. I had someone ask me once if chopping pillows was really something I did in my job. The answer is yes. And there are a few different reasons for this. The first reason is something you don't always see and that's the fluff that happens before the chop. We almost always use down pillows because they can be made to look very full and fluffy with just a few pats. So that's the first step. Punch, pat, and squeeze that pillow to get those feathers full and filled and THEN chop the top. Chopping the top to create those little pillow ears is really just the last step to adding fullness. Once that's done, Stack and layer. A flat pillow looks unfinished and uninviting. A full, perfectly fluffed and chopped pillow is exactly the accessory that sofa or chair needs. A good ole' blanket. There's something comfortable and inviting about a soft blanket gently draped over a chair. It can be the pop of color in the room or maybe just a little added texture. But either way, it adds movement. We want the homes we design to have an inviting feel. Not the look-but-don't-touch space, but rather the one that says I'm stylish and friendly! A blanket adds that lived-in touch but when it's done right, it also adds some style. So think twice before you leave that ratty old blanket out. Consider upgrading to something that can have a dual function--style and comfort.